Chuck Kimmel brings more than 35 years of leadership and clinical experience to the online classroom, including his service as National Athletic Trainers’ Association (NATA) president, secretary/treasurer, district director, and committee chair. He is also the director of the Injury Clinic at Appalachian State University and a clinical instructor in the Athletic Training Education program. Kimmel has also served as the head athletic trainer at Austin Peay State University, as well as assistant athletic trainer at East Tennessee State University. 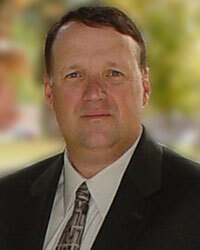 He is a member of the NATA, Southeast Athletic Trainers’ Association, and the Tennessee Athletic Trainers’ Society. Kimmel is a past member of the U.S. Olympics Sports Medicine Society and the American College of Sports Medicine. He holds a certification from the NATA and is licensed by the State Board of Athletic Training Examiners in North Carolina and Tennessee. He has also served as a delegate to the World Federation of Athletic Training and Therapy World Congress and has presented on a range of topics at both national and international congresses and annual meetings. Kimmel has served as a volunteer at the U.S. Olympic Training Center and for the Bluegrass State Games and Tennessee State Games. He has been honored with a named scholarship by the NATA and inducted into the NATA Hall of Fame and the Ohio Valley Conference, Southeast, and Tennessee Athletic Trainers’ Halls of Fame, as well as the Austin Peay State University Athletics Hall of Fame. He has also received the Southeast Athletic Trainers’ Association Award of Merit and the National Athletic Trainers’ Association Most Distinguished Athletic Trainer Award. Kimmel is teaching the Leadership in Athletic Training course, leveraging his extensive experience in several leadership positions at the National Athletic Trainers’ Association.